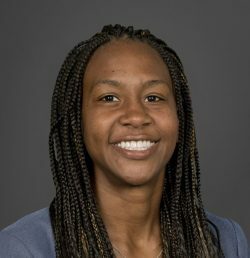 Tamika Catchings, four-time Olympic Gold medalist and 16-year WNBA player with the Indiana Fever, was appointed to the Indianapolis Airport Authority board by Mayor Joe Hogsett in 2018. Besides her illustrious basketball career, Catchings has extensive involvement in the community. She has won numerous awards for her humanitarian and community engagement work at the national and international level. In addition to the IAA board, she also sits on the USA Basketball's Women's Developmental National Team Committee. A graduate of Tennessee University, she is currently the Director of Player Programs & Franchise Development for Pacers Sport & Entertainment as well as a sports broadcaster covering Fever games on MyINDY-TV 23. Catchings also owns Tea's Me Cafe on the north side of Indianapolis.